This is the controller card. 20170913_122927.jpg I managed to miss spell it as NDC5445 instead of NDC5425, my bad thats why you probably couldnt find anything on it. Last edited by Amakira; September 13th, 2017 at 01:05 PM. 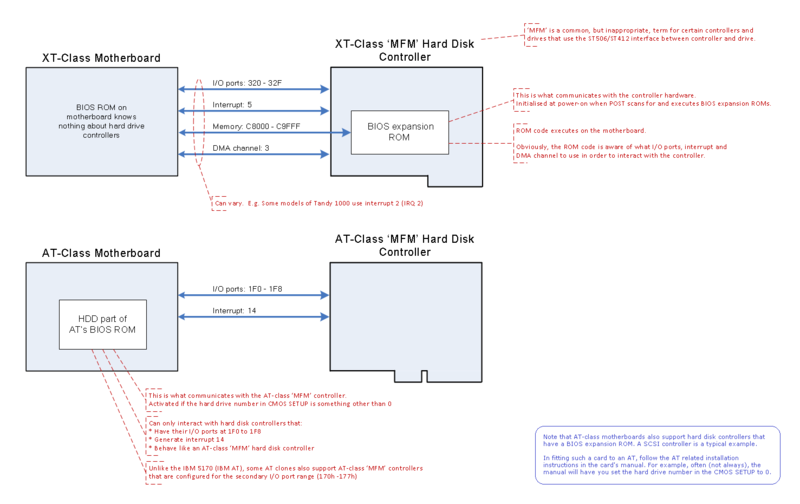 The norm for an AT-class HDD computer is shown in the bottom half of the diagram at [here]. No BIOS ROM on the controller, with HDD related BIOS requests handled by the BIOS on the At-class motherboard. No doubt, the resources (see [here]) of the controller's FDD circuitry and the motherboard's FDD circuitry are the same. They will conflict, just like two people trying to drink the same glass of water.